Your schedule is too busy to find a space for an English course, isn’t it? Yes, but we know that you are always online on social networks! Have you ever thought about how many minutes you spend on endless chats via text messages? 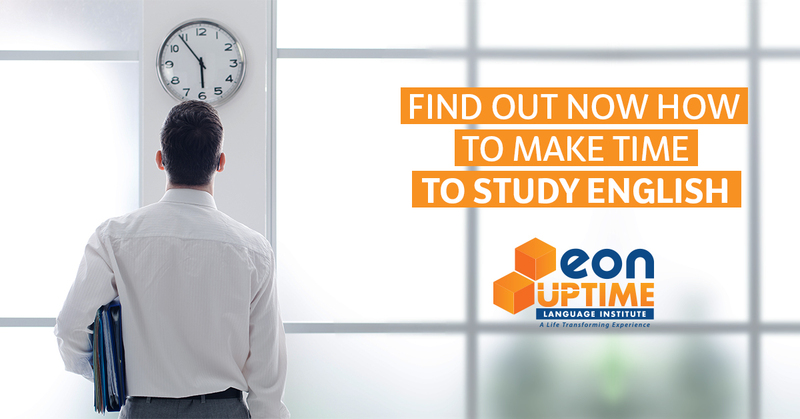 You should know that, setting aside the distractions it’s possible (without much sacrifice) to make some time to study English. We may not realize it, but we spend a large part of our day involved in trivial activities, that don’t contribute to our learning or growth. For this reason, we chose four evidences that the problem is not the lack of time, but how we use it. Did you see how many hours we waste throughout the day? We aren’t telling you not to do the things we mentioned above – we love them by the way – but it’s important to organize our routines and set priorities, ok? How can we do that? We will tell you now! At least a little bit... We know it’s getting harder every day to stay offline, but we should try to find a balance. If you have difficulties about that, there are some great free apps, like Quality Time, that can help you control the amount of time you spend on your phone. It may not seem like a big problem, but following all the trending series takes a huge amount of time out of your life. Do you want proof? The website tiii.me can show you, and believe it or not, the results scare a lot of people! If this is your case, our tip for you is to slow down and start watching one series at a time, watching the new episodes only on weekends. Are you one of those people who, when have nothing to do, turn on the TV right away? 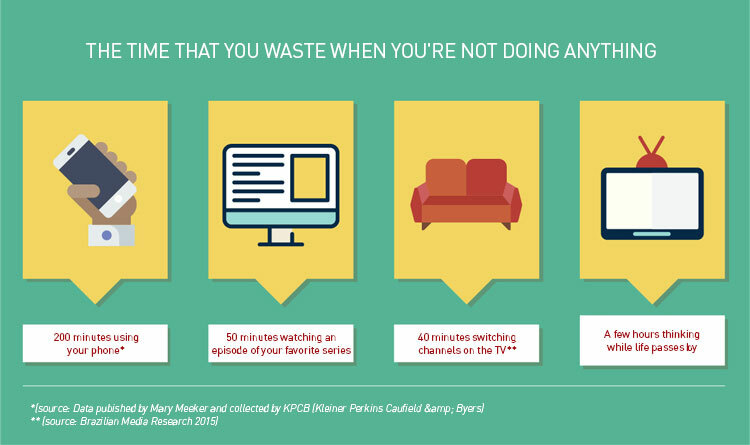 If so, you probably have already realized that, most of the times, you spend more time switching channels, looking for something interesting to watch than really watching a show. This time could be saved and used for something else if you check out the TV schedule beforehand. Resting is important, but procrastinating is not the same thing. Do you know when you leave everything for later and end up doing nothing? So, this is it. A possible solution for this problem is making a to-do list, in which you write down everything you are supposed to do and cross out every task you complete. It may seem foolish, but it works. Don’t you think that this amount of time could be used for learning English in a fast way, once and for all? A good English course and 30 minutes a day (which is a shorter amount of time than everything mentioned above) can easily help you! After one week studying every day, you’ll already be able to have a dialogue in which you introduce yourself in English. Now, think about how much more you can do in the long term? Just to have an idea, after 50 weeks you’ll be able to understand most texts and conversation subjects, with a knowledge of advanced grammar. So, no more procrastination! Start thinking about how you plan your schedule. No more excuses, ok?